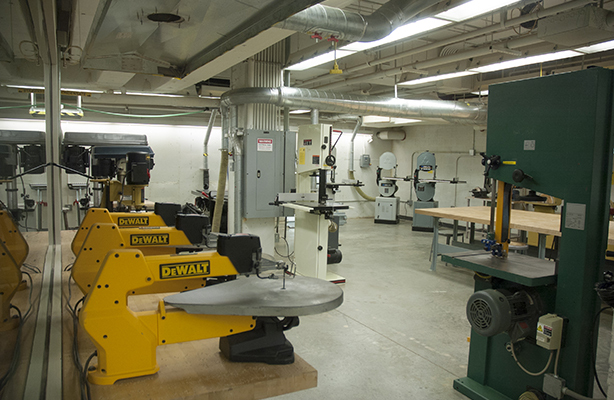 Located in a large dedicated space on the concourse level of the Spitzer School, the model shop is fully equipped with a wide variety of hand and power tools for working with wood, plastic and metal. Included are panel-, table-, band-, and jig-saws, sanders, and drills. 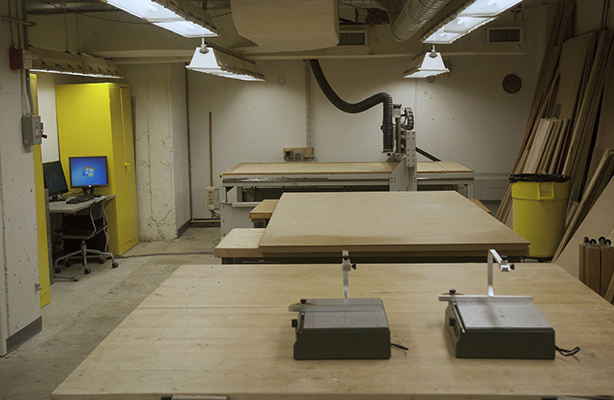 A complement of four large-bed laser cutters and two CNC machines are located in the shop as well. After an orientation session emphasizing the safe use of equipment, students are allowed access under the supervision of monitors and the shop director. The laser and CNC equipment require additional training and are typically operated by monitors specially trained and experienced in the use of this equipment. 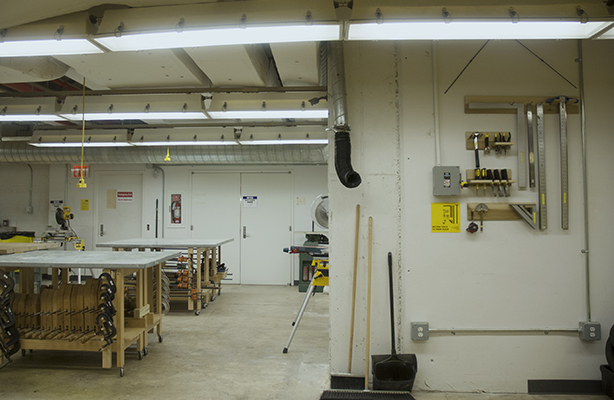 Light tools including some power equipment are located in studios for limited model buidling. Health and safety facilities include facility-wide dust collection and filtering, spray booths and advanced filtration for the laser facility. Doors close 15 minutes prior to closing time for cleaning. 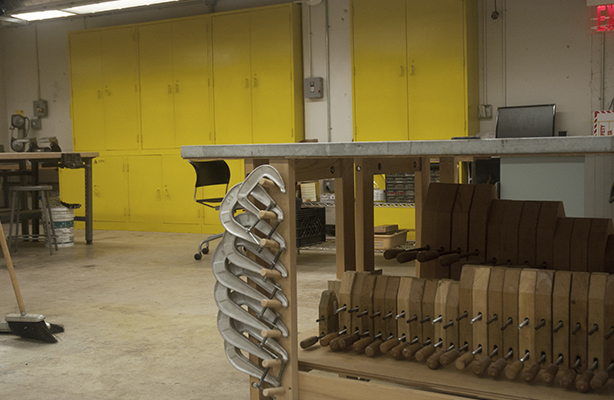 Fabrication Shop Hours are subject to changes due to staff changes, urgent maintenance matters, or other programs. Follow our Facebook page for last-minute changes of schedule and closures. 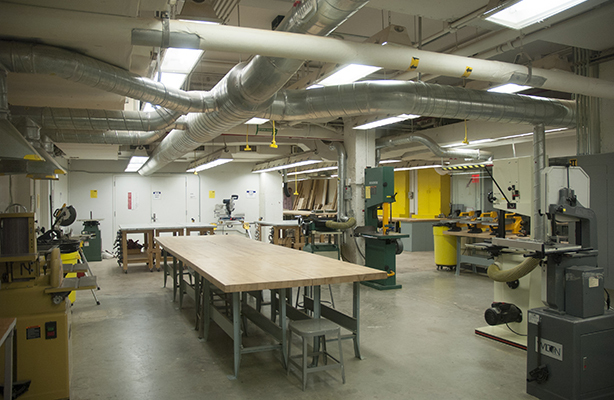 The Fabrication Shop is closed during holidays, lecture evenings, and also the time periods between the fall, spring, and summer semesters. Hours may differ during midterm breaks. Closing notices are posted at the Fabrication Shop front door as soon as possible. Make sure to always check the hours before planning for your project.